Rosa Maria Hernandez, the 10-year-old girl with cerebral palsy who was arrested last week at a Texas hospital, remains in the government’s custody—detained in San Antonio, removed from her family in Laredo and almost certainly terrified. I wrote a strongly worded post last Friday arguing that Customs and Border Protection (CBP) had lied in claiming that its agents had no discretion but to arrest the girl, who was first encountered at a Border Patrol checkpoint in an ambulance on her way to emergency gallbladder surgery. CBP has since responded—in an email to me from spokesman Dan Hetlage—and doubled down on that claim. With apologies for a somewhat detailed post to follow, I do not find their objections persuasive. Indeed, it is more likely not only that CBP failed to use the ample discretion it had in this case, but that it violated the constitutional rights of both the girl and her parents. 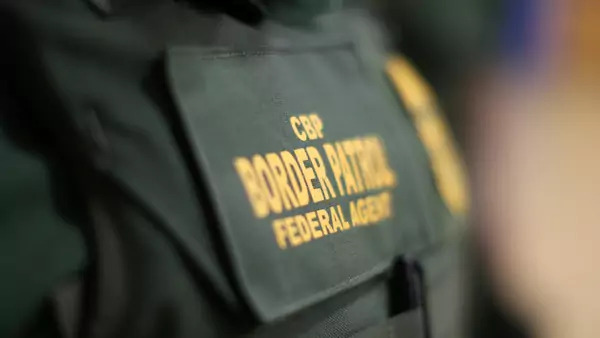 Before continuing, I want to note that I have great respect for CBP and the Border Patrol, and the important work they do for this country, under often difficult conditions. My first book, The Closing of the American Border, chronicled the impressive initiatives launched by CBP in an effort to prevent future terrorist attacks on the United States, measures that continue to protect us to this day. And a later co-written monograph, Managing Illegal Immigration to the United States, documented the enormous progress made in securing the U.S. border with Mexico—progress that unfortunately is rarely reflected in the political debates. But in this case, CBP has gone off the rails, and needs to find its way back. Like all government agencies, CBP exists in the broader political context of this country. As recently as 2013, the U.S. Senate passed on a bipartisan basis, with 68 votes, legislation that would certainly have legalized both Rosa and her parents. The House did not follow suit, and President Obama sought to stretch the concept of “prosecutorial discretion” much farther than it could reach—attempting to offer protection for millions of undocumented parents of U.S. citizen children—before he was struck down by the courts, which restored a narrower reading of discretion. The voters then elected President Trump, who promised a much harder line on immigration enforcement. But DHS now appears intent to all but eliminate even the narrow use of prosecutorial discretion; this case is only one of many in which DHS is now arresting and removing migrants regardless of whether they fall into any of the priority categories. This is an extreme interpretation that is unjustified by both the history of U.S. treatment of undocumented migrants, and by American public opinion, which continues to show broad sympathy for some form of legalization for long-time unauthorized residents. A FOX News poll last month found an overwhelming 83 percent of Americans support legalization. “On Tuesday, Oct. 24, a 10-year-old child with her adult cousin, approached the Freer Border Patrol Checkpoint, east of Laredo, Texas in a medical transport vehicle heading to a hospital in Corpus Christi. As the 10-year-old was not accompanied by a parent or legal guardian, and was not legally in the United States, U.S. Customs and Border Protection is required by the William Wilberforce Trafficking Victims Protection Reauthorization Act of 2008, to take the unaccompanied child into custody. For the welfare of the child, she was escorted by Border Patrol agents to the hospital to undergo surgery and remained with the unaccompanied child as she was in their custody in the absence of a legal guardian until such time as she could be transferred to the Health and Human Services Office of Refugees and Resettlement (ORR). In a subsequent e-mail, the spokesperson added: "I stand by our statement, but for clarification, we encountered her at the checkpoint - and due to her condition, escorted her to the hospital where she could receive appropriate medical care. We then transferred her as quickly as possible to ORR, which facilitates and funds health care for all UAC (unaccompanied children) in its custody. Placement there takes into consideration any special needs or issues requiring specialized services." The decision to stop the ambulance in the first place. There is no requirement that the Border Patrol pull aside every vehicle that passes through an inland checkpoint. The Border Patrol’s own guidance on checkpoints states that their purpose is to “restrict the routes of egress from the border area where appropriate and thereby create deterrence to the initial illegal entry.” In other words, they were never set up as a dragnet for unauthorized migrants already in the country. In my own experience crossing checkpoints (which almost certainly reflects my physical appearance) the Border Patrol officer normally will take only a brief glance inside the passing vehicle and perhaps ask about citizenship. Since Americans are not legally required to carry passports inside the United States, Border Patrol cannot insist on seeing one. In the case of an emergency vehicle in particular, discretion would call for letting the vehicle pass through promptly. In this case, instead, according to lawyers for the family, Rosa Maria’s adult cousin, a U.S. citizen named Aurora Cantu, identified herself and provided documents showing they had a surgical appointment at Driscoll Hospital in Corpus Christi. She explained that Rosa, a 10-year-old, did not carry an identification document. The agents detained the ambulance for half an hour at the checkpoint, and then chose to follow it to the hospital. The decision to treat Rosa as an “unaccompanied child.” The Wilberforce Act, cited by CBP, is designed to protect children from human trafficking. It states that “unaccompanied children” who are not subject to immediate removal must be transferred to the Secretary of Health and Human Services (HHS) for care. But since the Act is designed to protect children from trafficking, it should always be interpreted in that light. There was no reason whatever for the agents to suspect that a young girl in an emergency vehicle, whose accompanying relative presented documentation about her imminent surgical appointment, was being trafficked. Further, the precise legal question here is, was Rosa an “unaccompanied child”? CBP says yes, because she was not accompanied at the checkpoint by a legal guardian. But U.S. law, initially under the Homeland Security Act of 2002, defines an unaccompanied child as one who “has no lawful immigration status in the United States, has not attained 18 years of age, and who has no parent or legal guardian in the United States, or no parent or legal guardian in the United States available to provide care and physical custody.” In Rosa’s case, she has two parents in Laredo, both undocumented Mexicans, who have spoken out on the case and made their presence well known. They are both able and eager to provide her with care and physical custody. A second question is why, having turned Rosa over to HHS as the act requires, the government would then transfer her to a detention facility in San Antonio rather than returning her to her parents. The law states clearly that an unaccompanied child in the custody of HHS “shall be promptly placed in the least restrictive setting that is in the best interests of the child”—in this case clearly her parents. The decision to arrest her in the hospital. CBP’s own policy on “sensitive locations” states that “enforcement actions at or focused on sensitive locations such as schools, places of worship, and hospitals should generally be avoided.” The goal of that policy is to “enhance the public understanding and trust, and to ensure that people seeking to participate in activities or utilize services provided at any sensitive location are free to do so, without fear or hesitation.” In this case, CBP says that Rosa’s arrest was justified because the original encounter took place at a checkpoint, not in the hospital. That is a plausible explanation, but the agents certainly had the discretion to follow the agency’s own sensitive location policy in this case and not make the arrest. The decision to place Rosa in removal proceedings. Even if CBP felt compelled to detain Rosa and to turn her over to HHS, the decision to place her into removal proceedings was entirely discretionary. As I wrote in my first post, CBP officers have broad discretion not to pursue removal of individuals they encounter who may be out of status, and are encouraged to focus on priorities like criminals and recent border crossers. Instructions issued by then DHS Secretary General John Kelly in February specifically state that immigration officers are expected to make decisions on “a case-by-case basis.” As Shoba Sivaprasad Wadhia, a Penn State law professor and the author of Beyond Deportation: The Role of Prosecutorial Discretion in Immigration Cases writes: “Historically deferred action has protected thousands of people like Rosa.” She adds that “CBP may exercise this discretion by avoiding specific areas for enforcement or refraining from arresting or detaining someone because of age, medical needs, or other humanitarian considerations.” According to reports from Rosa’s lawyers, not only did the agents not respect this approach, they even tried to persuade the family (through the U.S. citizen cousin accompanying Rosa) to agree to “voluntary departure” back to Mexico in order to bypass her right to a hearing before U.S. immigration courts. If she refused, Ms. Cantu was told, the girl would be placed in detention. As I suggested at the outset, CBP’s failure to use proper discretion may be far from the worst aspect of this case. Her lawyers, in a letter released by the American Civil Liberties Union (ACLU) yesterday, are alleging that Rosa’s detention is a serious violation of both her and her parents’ legal and constitutional rights.